I asked a question on Twitter recently and got a helpful response and two requests to share the solution. So, here is the solution! My particular problem didnt get resolved, I think there are issues concerning the way my other blog is hosted/managed but that isnt the point. 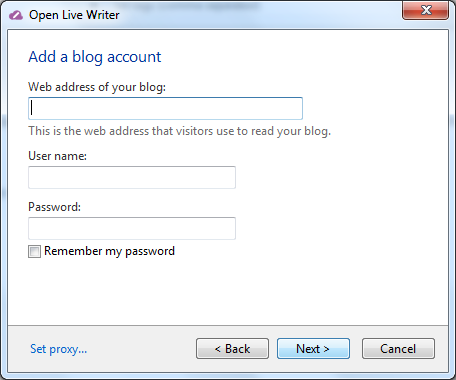 I tried connecting Open Live Writer (OLW) to my user group blog and had no issues at all so here is the step by step on how to get it done. If you havent heard of OLW then take a look at their website and on Scott Hanselman’s blog for a potted history of this great app. Your WordPress blog login name. 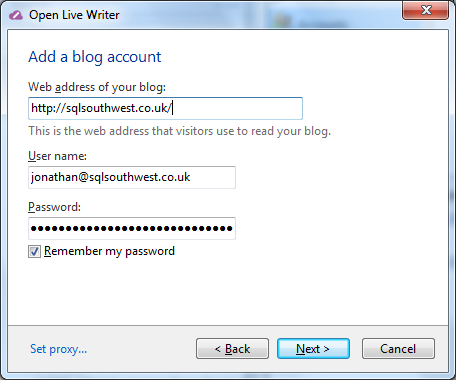 Your WordPress blog login password. I keep the first two of these in a password manager so that was easy and the URL was pretty simple to locate too. from here you can select ‘Add blog account’ (or ‘Manage blog accounts’ and then click the Add button on the dialog there) and this will place you right in the same place. 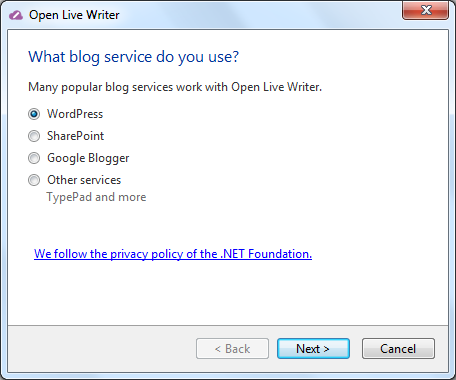 You need to select a blog provider from the list. I havent tried other providers so cant vouch for the process there but with WordPress the next screen requests the information we gathered together earlier on. Fill in the details as requested. After a moment or two, depending on your internet connection speed you will get a final dialog that asks you for the friendly name for your blog account. 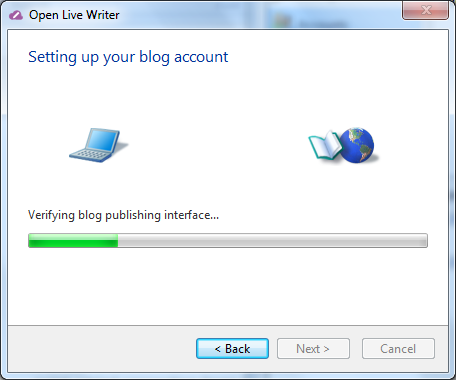 Click Finish and you are all set to start using OLW as your blogging tool. 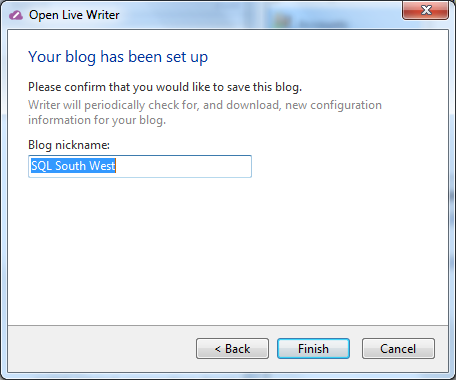 This entry was posted in Blogging and tagged Open Live Writer, WordPress on January 5, 2016 by sqlsouthwest.